HomeTagsPosts tagged with "suzanne jackson"
We can only imagine how long it must have taken to decide on what to wear if you're one of the lucky ones who have access to the Victoria Secret Fashion Show 2018. I mean you'd be surrounded by drop-dead gorgeous models, that would make any stunner look like an absolute potato. However, Louise Cooney and Suzanne Jackson did the impossible and looked beyond glam behind the scenes of the iconic show. And this is how to steal their style for a fraction of the price. Louise did us proud and looked divine in a Houndstooth Off-White jacket. The influencer completed her outfit with a black leather skirt, beautifully curled hair and a natural makeup look. Now we don't have the cash to splash on the original pieces, so we did you a solid and found a way to recreate her stunning style that won't break the bank. Hitting ASOS, you can rock the jacket style with a houndstooth blazer for a cool €76. And pull the look together with a cinched waist, by adding a faux croc clip belt. River Island has a hun-real mini leather skirt that is a copy-cat style of Louise's look. If you're into a more low-key style, Suzanne Jackson owned the understated look at the show. Scaling the streets of NY, the influencer looked totally cool in ripped jeans, a red Victoria Secret jacket and striped shirt. If you wanna recreate this concrete jungle a la mode, ASOS have look-alike pair of knee ripped jeans for a bargain price. You can get the exact contrasting striped shirt Sue is wearing from Zara – and it'll jazz up your work looks throughout autumn and winter. Snap up the FAB red and black coat from Victoria Secret, which we imagine will be such a popular buy this season. Both Suzanne and Louise looked unbelievable at the rehearsals and we LOVED their style. They were brushing shoulders with some of the most famous faces in the fashion industry. The women were even snapped in the background of Kris Jenner's picture from the night out. They're basically celebrity royalty now. Feature Image credit: Suzanne Jackson-O'Connor // sosueme_ie/Instagram. 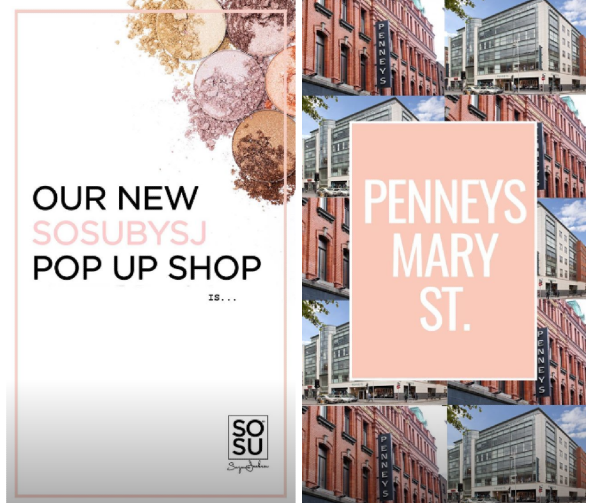 Suzanne Jackson has created a beauty empire out of her blogging business, and last week revealed that she is launching her first pop-up beauty sop in Liffey Valley shopping centre. For the first time, every single one of her makeup and beauty bits will be available from the one place. Now, the beauty mogul is looking for 'creative hands' to work at her store. 'As you guys know we’re opening our very first @sosu_bysuzannejackson pop up shop on Thursday morning,' she wrote on her Instagram. 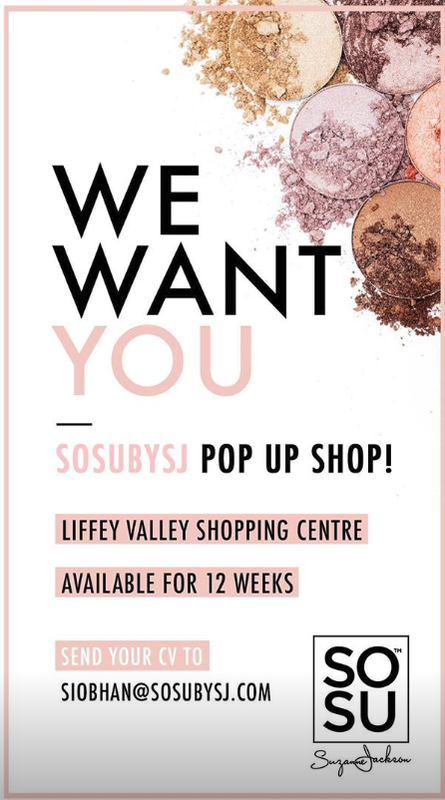 Sue is searching for Ireland's most talented makeup artists and retail workers with experience in customer service. The job will last 12 weeks so it's ideal for any candidates looking for summer work during college. Get updating that CV, gals. 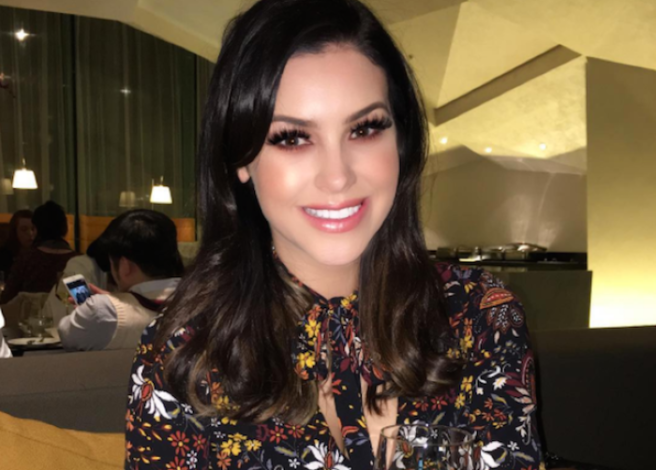 Suzanne Jackson has found massive success, turning her blogging talent into a beauty empire. The business mogul's line of products is constantly growing, with highlighter palettes, tan and brushes. 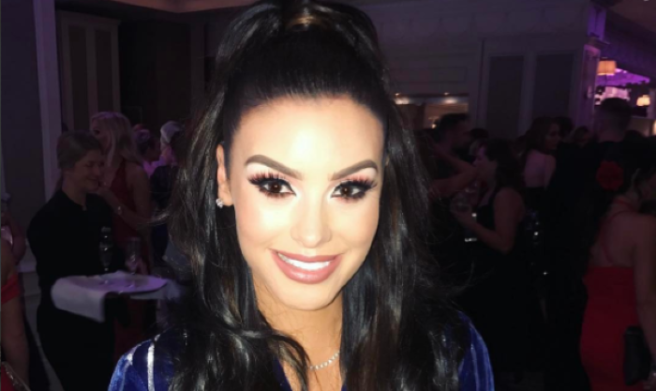 Her products are available online, in pharmacies and from Penneys stores, but for the first time, every single one of her makeup and beauty bits will be available from the one place. We'd say the place will be MOBBED on June 7th, as Suzanne herself will be there for a meet and greet with her followers, while MUAs give demos using her extensive list of products. Suzanne Jackson announced the long-anticipated news that she would in fact be releasing a tan brand last month. Members of the beauty community, along with Suzanne's hundreds of thousands of followers, have been waiting with baited breath for the reveal. Dripping Gold Tan went on pre-sale on April 12, and the people who ordered will begin receiving their products this week. 'We worked really really hard on it, and personally I think it’s bloody amazing… it’s a tan I would love to buy,' Sue penned to her followers on Instagram. The blogger turned business mogul also revealed when her tan would be available to buy in stores. Landing in both Penneys and pharmacies, Dripping Gold Tan will be available next week if you can't wait to get your hands on it. 'I’m nervous, but also sooooo excited for you all to try our tan,' Sue wrote. Suzanne Jackson is never lost for ideas when it comes to expanding her beauty empire. 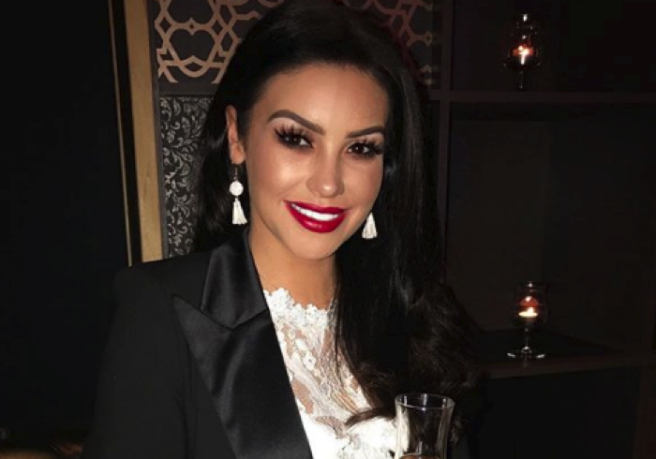 After recently releasing a lash collaboration with Lauren Pope, as well as her new tan collection Dripping Gold Beauty, the entrepreneur has added yet another string to her beauty bow. 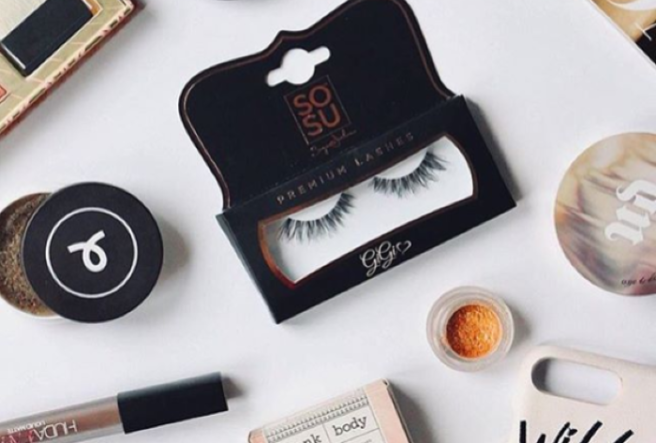 For those who are after a more personalised lash look, we introduce the SOSUbySJ individual lashes. The lashes give three different lash lengths, akin to 10s, 12s and 14s if you were opting for lash extensions, so you can build your own eye look. For those who love false lashes but dream of customising their own, these lashes are essential. It's also ideal for guys and gals who want to add a little bit of natural-looking volume to their own day-to-day lash look without opting for strip lashes. Whether you're between lash appointments or you want to play around with establishing your own eyelash style, these bad boys are a great way to experiment with your makeup. 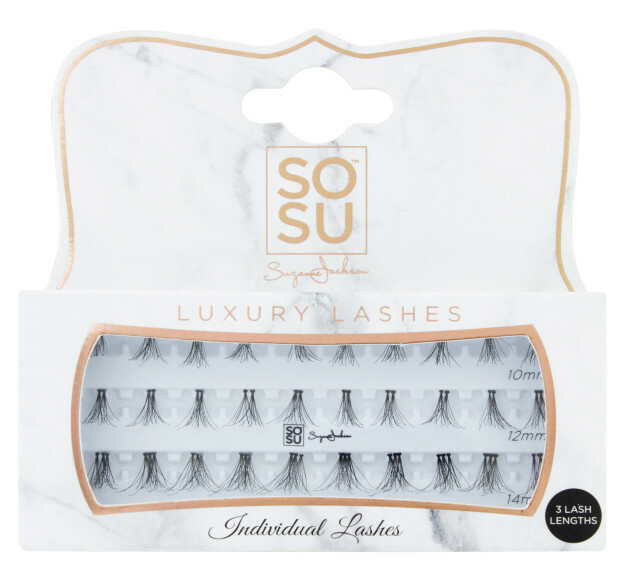 The lashes retail at €7.95 from www.sosubysj.com . One of the most anticipated influencer-designed products has finally been announced. 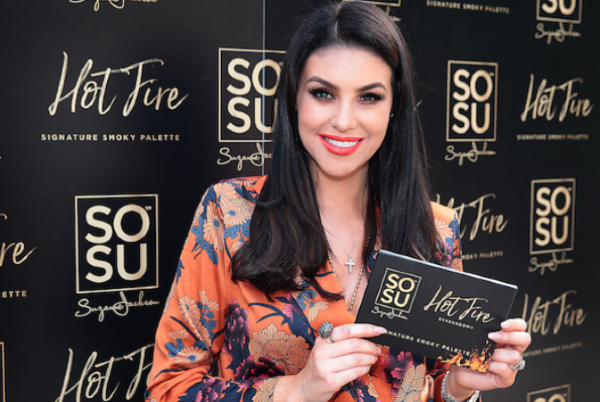 Members of the beauty community, along with Suzanne Jackson's hundreds of thousands of followers, have been waiting with baited breath for the reveal of her tan brand. Suzanne has been teasing fans with hints about the product for what seems like forever, but now, two years in the making, the date for it's release is finally here. Solid Gold will be launched on April 12, with it going on pre-sale the same day. We're pretty sure the entire country is ready after waiting so long for a peek at the highly anticipated product. Pre-sale is at 8pm, so make sure you set those alarms. Just two months ago, Suzanne Jackson married her sweetheart Dylan O'Connor today in a beautiful ceremony. While the pictures were leaked all over social media, and uploaded by the blogger herself in the weeks following the wedding, fans have been hankering for the wedding video to get a true insider's look at the festivities. Now, Suzanne has shared her ceremony with her 223,000 followers via Instagram. 'So.. as I said on Snapchat, I was going to keep this private… buuut, considering I shared so much of our big day with you all already, I figured, you'd like to see this too…' the influencer captioned the post. The wedding itself was a stunning affair, set off by the backdrop of the five star Powerscourt Hotel in Eniskerry, Co. Wicklow. The blogger wowed in a lace-sleeved ball gown on the day. 'I kind of want to go all out,' Suzanne previously told SHEmazing. Check out the vidoe for yourself above. Suzanne Jackson married her sweetheart Dylan O'Connor today in what was surely a stunning ceremony. 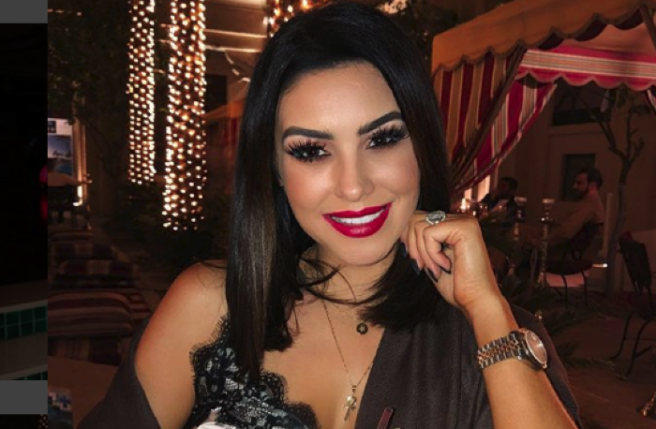 Fans of the social media influencer and businesswoman waited with baited breath for the first images of her wedding dress to roll in, as the blogger has kept her dress design under lock and key in the run up to the wedding. Finally, the images appeared online, and the floodgates of opinion opened as followers gushed over Suzanne's glamorous wedding look. Suzanne opted for a full skirted dress with intricate lace sleeves and a plunging sweetheart neckline. The beautiful look was topped off with a lace veil and a crown of perfectly coifed Hollywood curls. And seriously, we need the name of her makeup artist ASAP. Twitter and Instagram have been completely filled with images of one of Ireland's most notable bloggers, and the reactions have been pouring in from fans, friends and followers. WOW @SoSueMe_ie at her wedding. Her and her bridesmaids look absolutely amazing!